I know I am way too far ahead in preparing the party to whatever special occasion that is approaching in my family. I like to be primed and systematize to ensure what are the things that needs to be done and what else needs to get settled before the day arrive. Eight months from now our second child will turn one. I want that his first birthday would be as memorable as his older brother and as a parent that needs to be taken care off. I know I'm very corny or something, but I always wanted to make every single occasion unforgettable not only for me to remember, as well as for our son. I know he is just 1, hence pictures or videos would tell it all. 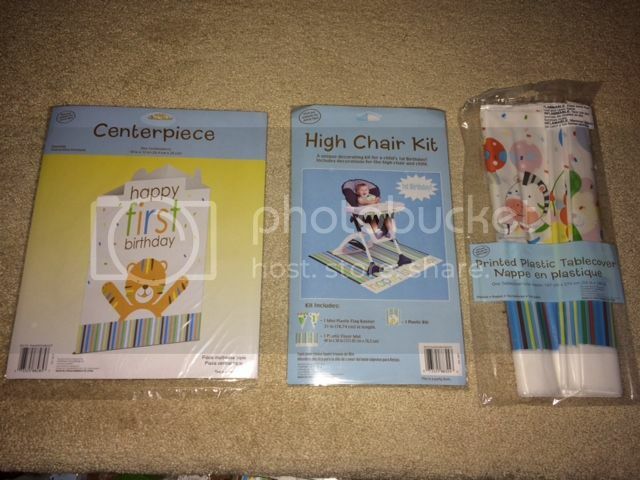 Anyways, I have the opportunity to review a party kit from Birthday in a box website. Something I've always been looking forward to do, as I can get the supplies I want to review for free in exchange of my unbiased evaluation. I have chosen the pretty Baby Animals party theme for our second child. Rather more unique and simple theme this time. Besides animals is just way too adorable too. As I went online to check out the other party theme they carry, I was stunned of the varieties they hold, they have from the famous theme up to the simple yet cuties birthday party theme available. For kids to adult and pretty much every occasion party kit. I love how they handle the shipping, when I received the items it is through the UPS and everything is secure I never noticed any damage during the shipment. 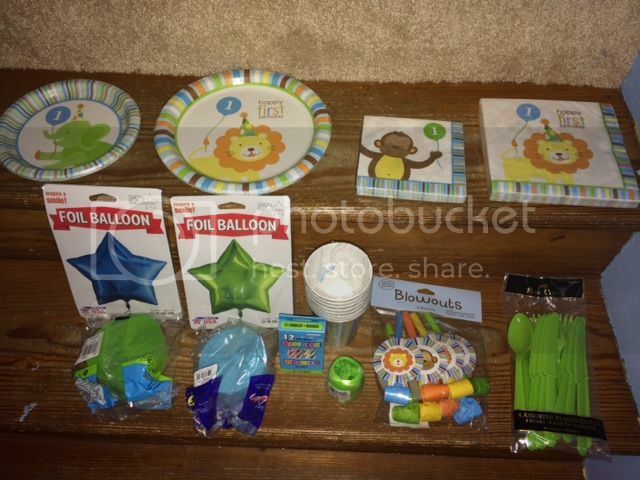 What's inside my package are: 16 regular napkins and drink napkins, 8 cake plates, dinner plates, cups, cutlery sets, and party blowers, a table cover, centerpiece, high chair kit, candle, pinata, and 2 foil balloons with ribbon and streamers. I have the perfect set for a Baby Animal theme party soon. Honestly, the quality of the items is classy, I never thought about having such a fancy party product from Birthday in a box website. The plates and the napkins were all amazing, the decorative print is vivid indeed kids would adore to use it. The kit I picked is perfect for a guest of 8, everything is included all you need is to set them up. Overall, my stances about finding great deals online for a themed party is wonderful. I am one happy customer and would gratefully share my experiences with my fellow Mothers and girl friends. Please visit the website and don't forget to like Birthday in a Box on Facebook in order to get exclusive offers and great deals from them. 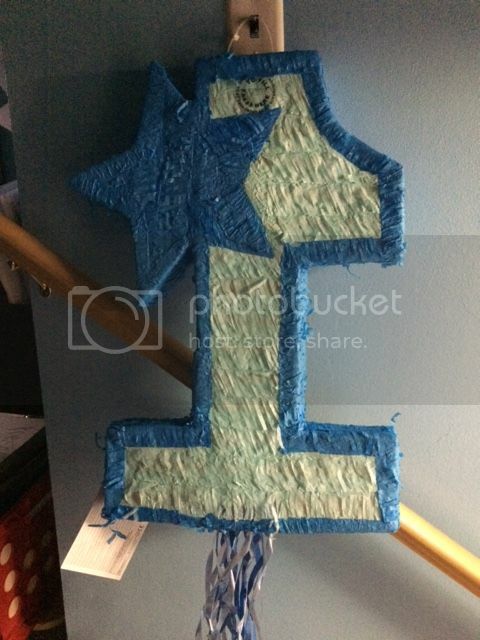 What an adorable party theme for the handsome baby C of yours Mommy N. First birthday is always very special. Being prepared is the best ever and that way when the time comes, you are relax. Way to go on planning ahead and gathering things that you need! I am that way (sometimes) lol. good to see moms who plan things at the earliest possible time. Nice theme party that would be for your son. Something I will definitely check out as my son is turning 3 in a few months and we're hosting a small party for him and his friends. He is still into Thomas the Train and would love to find out if they have that in Birthday in a Box.